Surf is declining from a mix of WNW-NNW up to 3-4′ @ 14 seconds; we have morning sickness along with brisk ENE trades. Expect high performance possibilities all day! Welcome to the Vans Triple Crown. SNN. John John Florence (HAW) – Current World Champion, Florence now turns his attention to the Vans Triple Crown, where he hopes to secure the win in his backyard at the Billabong Pipe Masters. Breezing through his Round 3 heat against Sebastian Zietz (HAW), Dion Atkinson (AUS) and Torrey Meister (HAW), Florence posted an 8.43 on his opening ride to maintain the heat lead. Keanu Asing (HAW) – Asing sits No. 23 on the Jeep Leader Board after his first CT win in France, and is working to solidify his spot on the 2017 Tour here in Hawaii at the Vans Triple Crown. Today’s heat win put him in a good mindset moving into the Finals day and the Oahu athlete looked on point and inform in the head high surf today. Kelly Slater – The 11x World Champion hasn’t surfed in the Hawaiian Pro since 2012, but came to Haleiwa after being inspired by last year’s competition. Slater is also focused on a win at the Billabong Pipe Masters, and began his Vans Triple Crown campaign with a solid 9.00 ride and a combined heat total of 15.50 against Samuel Pupo (BRA), Ian Gouveia (BRA) and Deivid Silva (BRA). Sebastian Zietz (HAW) – Zietz is one slot below Slater on the Jeep Leader Board, sitting in the No. 11 spot for a likely chance at qualifying for the 2017 CT. As a previous Vans Triple Crown champion and Hawaiian Pro winner in 2012, Zietz is on his way to securing another win in Hawaiian waters. First in the water this morning is Round Three Heat 2 featuring Kanoa Igarashi (USA), Jeremy Flores (FRA), Marc Lacomare (FRA) and David do Carmo (BRA). Other top seeds competing today include Kelly Slater (USA), John John Florence (HAW), Jordy Smith (ZAF), Matt Wilkinson (AUS) and Ezekiel Lau (HAW). Both a regional and international video news feed will circulate around 2pm HST and an official press release and image gallery will be distributed after the competition ends for the day. Plenty of fun on fading NW swell on tap for Tuesday, Day3. 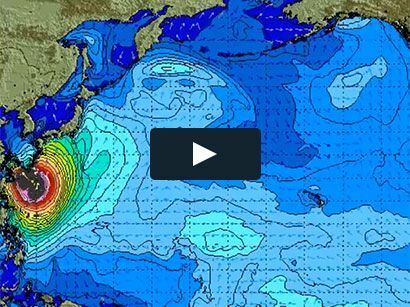 Next 10′ NW swell is Friday for epic finals day! Stay tuned here and call 596-SURF. SNN. HALEIWA, Oahu/Hawaii – (Monday, November 14, 2016) — Twenty-foot wave faces provided a dramatic canvas for Day 2 of the Hawaiian Pro at Haleiwa Ali’i Beach today, and some of the largest conditions in the history of this event. 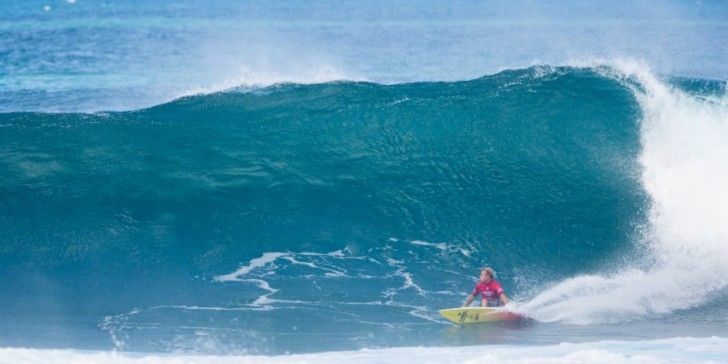 With no shortage of action, the competition featured high performance surfing and a handful of excellent scores for the World Surf League (WSL) Qualifying Series (QS) 10,000 event. Solid surf is expected again tomorrow when the event’s top seeds enter the fray, including World Champion elect John John Florence (HAW) and 11x World Champ Kelly Slater (USA). The first stop of the Vans Triple Crown, the Hawaiian Pro field has been whittled down by half, with just 64 surfers now remaining as competitors prepare for Round 3. 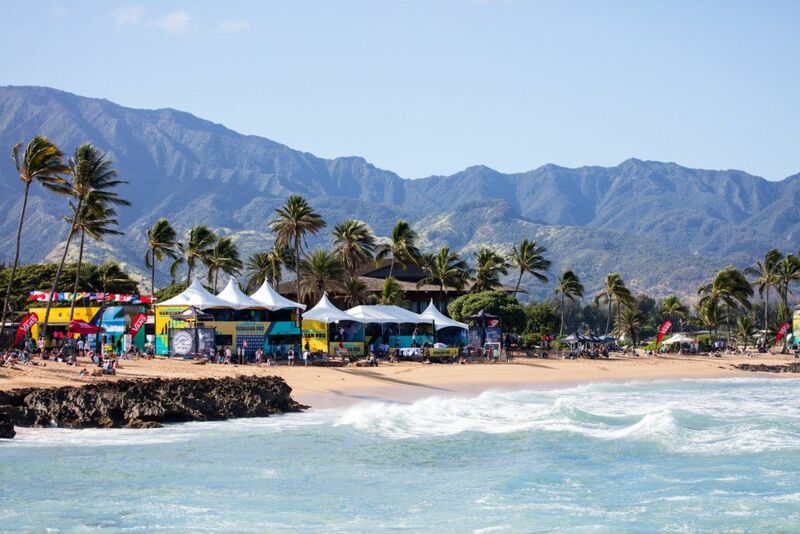 Key advancements included the likes of Evan Geiselman (USA), Mihimana Braye (PYF)and Brett Simpson (USA). Braye set the standard this morning in the opening heat and despite his experience in heavy waves at home in Tahiti, conditions proved extremely powerful. In contention for Rookie of the Year, Braye was reassured with another day of competition after advancing from Round Two ahead of Brazil’s Deivid Silva. Veteran CT surfer Nathan Hedge (AUS) commented that he has been coming to Hawaii for 20 years and has only surfed conditions like this twice at Haleiwa. Experience at the temperamental wave is crucial, however on big days it can be outweighed by athleticism and brute power. Cascais local Frederico Morais (PRT) had the highest score of the event, a 9.77 on his first wave of the heat. 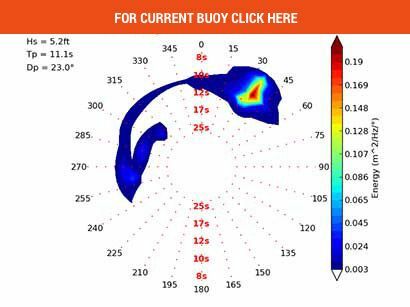 The athlete produced three major maneuvers on the set wave, stamped it with a claim at the end, then backed it up with an 8.10 for the heat win. The second highest heat score of the day went to Big Island’s Torrey Meister, a 9.50 for a critical drop and controlled backhand carves in the double overhead surf. Meister, a notorious dark horse on the North Shore, advanced in second after Hiroto Ohhara (JPN) dropped a 7.17 in the dying seconds of the heat to move to first with a combined heat score of 15.50. He is now one of only five Hawaii locals still in contention. Meister sits 47th on the International Qualifying Series (QS), which means his dream of joining the elite 34 on the Championship Tour (CT) is within reach. A Final finish at the Hawaiian Pro would see Torrey move into the Vans World Cup as a serious contender. “That would be the best thing ever that could happen, but it’s really far out so I’m just going to surf it heat by heat,” said Meister in regards to qualifying for the 2017 CT.
Vans team rider Tanner Gudauskas (USA) was a standout performer in the extra large surf and eager to compete in Hawaii for the first time this season. 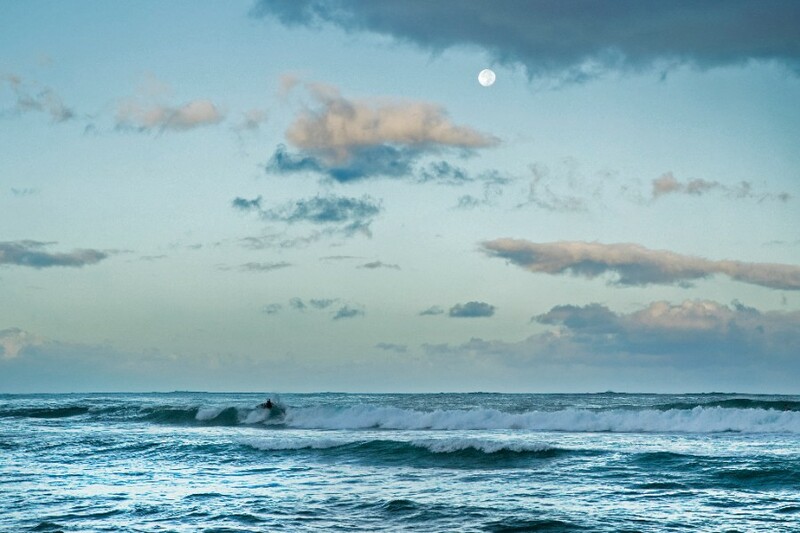 Surfline forecasts the swell to trend down tomorrow, but with waves still reaching 12+ft. heights, it is likely the competition will resume at 8am HST. Contest organizers will reconvene in the morning to assess conditions and determine a call.